Thinking about starting a massage outcall biz or adding housecalls to your practice? Then read on! I get asked about massage outcalls ALL the time! Personally I think it’s a great way to get a massage business going with low overhead and I have always enjoyed doing out calls. Read this article on why I love outcalls. We will get your Massage Outcall Business planned and launched. 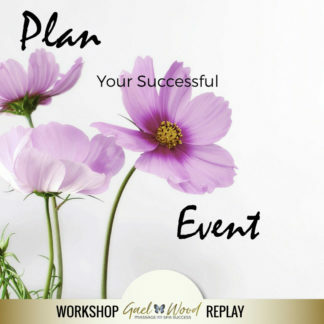 This 7-part class includes video and audio classes, and worksheets covering outcall business start-up, from supplies to prices, to safety and marketing. At the end, you will be ready to ROLL. This course is designed to be taken over a four week period, however you get everything all at once so that you can work at your own pace. Lesson 3 Your set up, supplies, paperwork, staying organized, tips and tricks! 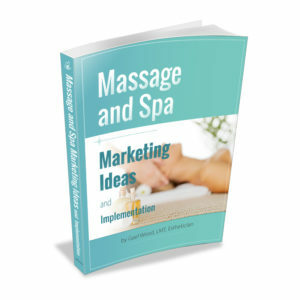 Plus you get my Massage and Spa Marketing Ideas and Implementation Ebook as a bonus!